Congratulations! You're on a new journey to becoming a Marine Parent. The pride is indescribable, but you may feel you are in a different world with a whirlwind of emotions and never-ending questions. RecruitParents.com is here to help you get through boot camp. 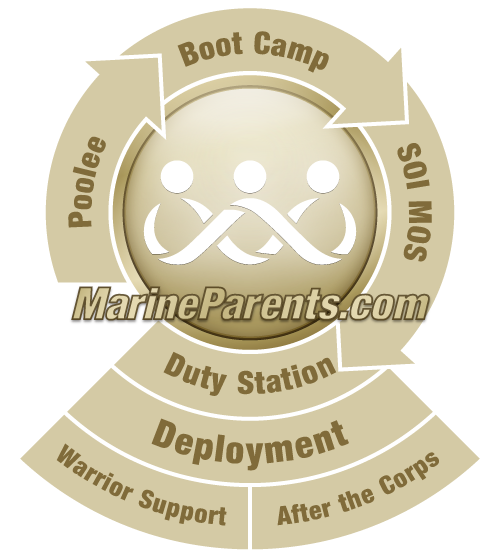 The RecruitParents.com roadmap includes information about recruit training (boot camp), schedules, terminology, expectations, and perhaps most importantly, venues to talk with other parents-novices just like you, as well as "expert" parents who've been down this road and experienced the same uncertainties and pride. CLICK HERE to view boot camp graduation dates. I feel more pride, more compassion, more respect...for my son. Being here on this site has been the difference. I read how all the other parents have gone [through] and are going through this change and I find that I'm gaining strength through these very people. We are all in this together and I'm very happy about that. I hope that you find the peace and comfort that I have found here with MarineParents.com. Private First Class Simon J. Hays stands at parade rest prior to graduation at Marine Corps Recruit Depot San Diego, Nov. 21, 2014. As of the evening of October 4, Brigadier General Austin E. Renforth, Commanding General of MCRDPI, has issued an evacuation of all non-essential Department of Defense personnel aboard Parris Island due to inclement weather expected from Hurricane Matthew. Use the links at the left to access recruit training topics, message boards , graduation information, travel planning, a "What's After Boot camp" section, and official MCRD websites. Be sure to sign up for our Recruit Parents Newsletter and our Marine Parents Newsletter. These e-newsletters are sent out bi-weekly on alternating Wednesdays of every month. These newsletters will help you not only through boot camp, but also through each additional phase of your recruit's career in the Marine Corps as well as transitioning out of the Marine Corps. Brand new terminology is a "must know" for families with a recruit in Marine Corps boot camp. Use the link at the left to access this information. Use the MarineParents.com Information Center to learn facts about the Marine Corps, deployments, homecomings, benefits and more. 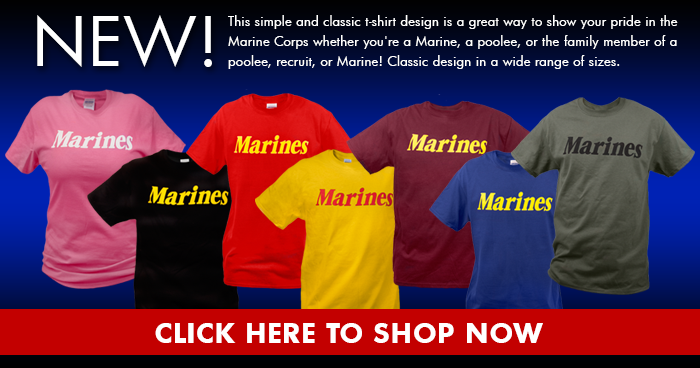 Our online store offers Marine Corps wear, memorabilia, graduation t-shirts, and graduation announcements. All proceeds support MarineParents.com, Inc. outreach programs and services. MarineParents.com, Inc. was founded in January, 2003 in response to parents' needs to find information and to Connect & Share™ with one another during deployments. Our free services, connections and outreach projects have expanded to support Marines, and to support and educate Marine moms, dads, spouses, families and friends. We've helped over 130,000 Marines, recruits and family members during boot camp, training, active duty and deployments. You've found a Place to Connect & Share™. Use the links and icons on the right to learn more about the Outreach Programs of MarineParents.com—, all of which support our Marines and their families at home. To learn more about MarineParents.com, visit the website, www.MarineParents.com. MarineParents.com, Inc. in an IRS approved 501(c)(3) public charity.